Verbalicious, later going by Verse, Natalia Kills and then Teddy Sinclair, was best known at the time of this release for starring in the Jasper Carrott sitcom All About Me. I distinctly remember going out and buying trainers and knee high socks on the back of how cool I thought Natalia looked in this vid! The song peaked at #11 in the UK - her highest UK chart position to date and probably ever, given that her career kind of crashed and burned after being kicked off the judging panel of X-Factor New Zealand for bullying a contestant. I've been really into robot stuff this month and in the world of music it doesn't get much more robotic than Kraftwerk. Das Model was originally released in German in 1978, then an English translation was chosen as the B-side for 1981's 'Computer Love': it proved so popular EMI re-issued the single and it hit #1 in February '82. I like the original but the awkward - robotic - translation of the English version adds another element that just turns it into an instant classic. 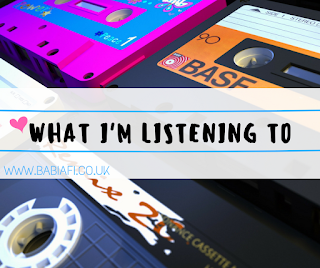 I've never understood the internet's hatred of Nickelback - if you're looking for inoffensive background noise it really doesn't come much better! What Are You Waiting For? may not have charted in the UK but YouTube keeps rotating onto it and I've had no real objection. I love this track from the late Avicii's second album, Stories. I've played it way too much this month! Katy Perry has been Marianna's favourite this month - probably because all of her videos are carefully constructed to be addictively appealing to kids and pester power - but as it's a step up from constant repeats of 'Shake It Off' I'll take it! This Is How We Do peaked at #33 in the UK and is my personal favourite of Perry's back catalogue. I was so obsessed with this song back in the day! Frozen hit the top spot in the UK, along with top ten positions across much of the western world, and remains one of my all time favourite Madonna tracks. There was a really cool fic based on it written for this year's Multifandom Drabble Exchange which hooked me right back in. My spoof track of the month is Katy Brand's take on Coldplay's smash hit Viva La Vida. Than a popstar who's sincere? like I'm a serious bloke and this is serious art.